TOEFL is the test that can take you anywhere, if you are planning to study abroad. 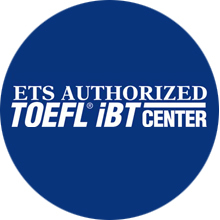 Students from non-English speaking countries at the 11th-grade level or above should take TOEFL to provide evidence of their English language proficiency, before beginning academic work in an English speaking country. The TOEFL test is offered in 180 countries around the world. Paper-based version of the test is administered in place where access to Internet-based testing is limited. TOEFL scores are accepted by more than 6000 colleges, universities and licensing agencies in 136 countries* (Source: www.ets.org), much ahead of any other test scores in the world, and about 4,300 test centers around the world makes taking the test convenient and easy. TOEFL measures your reading, listening, speaking and writing skills in English, and your ability to use and understand Standard American English in a university classroom. TOEFL can help you get admission to many colleges or universities in the world, including the best ones in the U.S., Canada, U.K., Australia and New Zealand. The test gives various flexible options on when, where and how often you can take the test, with a lot of practice materials, than any most of the other English-language test in the world.